I made this card for the Gypsy Challenge on the Gypsy ChitChat Message Board this week. The challenge was to have a window in your project and a weld. I took the decor tag from Gypsy Wandering and welded it to the decor tag with the window. I welded the shadow of the sun to the inside of the window. I inked the edges of the sun with red ink. I glued down the sun and added a gem in the center and diamond sparkle Stickles in the swirl. I added the "Hi" from Sentimentals to the inside of the card and stuck a gem on the dot. I made this baby album for my friend's new baby. She is not a scrapbooker, so I wanted to make this very easy for her to fill up with photos. A student of mine asked me to post this since she is working on a gift album herself. I did not plan on posting this album (and mom has it already) so I apologize for the photos of pages in the scrapbook with the glare. I have to say that this was a very difficult project for me because I usually scrapbook around the photos that I have. I bought a pad of paper at Michael's and some coordinating solid colors. I bought some ribbons and silk flowers to match. I made a pocket and a tag for each page months 1 - 12 for mom to journal. I cut out the photo mats at 4 1/2 x 6 1/4. I used Nursery Rhymes for the font. I continued a 2-page spread for each month. This album was very fun and a little challenging for me, but it made a priceless gift! Those of you who know me well, know I love to shop!! I find it very theraputic!! I also like to share my new discoveries. I've recently found a new website from the good people at StorePhotos. They carry a number of awesome scrapbooking products including Pioneer Photo Albums and Pioneer Scrapbooks. Pioneer products are guaranteed to last and keep your photos well protected due to their archival quality and acid free nature. Check out their other scrapbooking supplies, such as stickers, boarder-cutting scissors, patriotic emblems, color gel ink pens, plus many others. The even have scrapbook refill pages so that you can keep adding memories to your project. So make sure to visit StorePhotos.com, and if you do, let them know that I sent you! My friend and student loaned me her Gypsy. She does not have very many carts and has a couple that I don't have. I am grateful for the chance to play, but I seriously lost my mojo. It took a little nudge from my good friend Sassy to get creating again! She is having a box challenge on her blog ~ go check it out! I decided to make a box with the carts that Crysta has on her G. I used Gypsy Font and Sentimentals to create this box. I had some trouble with my welds. I originally wanted to create my own scallops on the box lid, but after welding one piece at a time (per Mya Magoo's recomendations) I got almost done and the preview showed all grey lines. This means that nothing was going to cut!! I started over and scrapped the scallops! I went to test cut the box, and one of the sides was not welded. I re-welded it and then accidentally un-grouped the boxes and had to start all over welding ~ UNTIL I remembered to just close the file, not save the changes, then re-open the file. I wanted to quit about 10 times, but I am a little stubborn at times so I kept going! I used my MS Score Board to score my box and lid. I used double sided tape to adhere the box flaps. This is not the paper I wanted to use, I ended up cutting the box 4 times before it was all welded properly. My lid did not match the paper I ended up using, so I re-cut the lid in green. I did not use the flower border for the flaps since the box was busy enough with the polka dots. Good thing I am flexible! I cut 5 flowers each one a little bigger than the first. I inked the edges in red using my brand new Fantasticks (thanks MakeupGirl217). I cut out 2 leaves and inked with the only green ink pads I had (wish I had a darker one) and this is how it turned out!! It is not perfect (yet) but I am getting back on my horse ~ so to speak!! I was cleaning out my scrap room today and came across this project that I cut out and never assembled. I am famous for doing this!! I made this book several months ago (before I cracked my Gypsy screen) and did not take photos of my Gypsy screens as I cut them out. I wanted to have a pitcher, batter and catcher and the word "strike" just like in a real game. I cut out the blue uniform for the pitcher and catcher, but did not cut out a uniform for the batter since the season had not yet started and I did not know who our opponent would be. I really like the layout of this book. I cut the book out of posterboard and used the multi-cut set on 2 with a regular blade. I used a variety of baseball papers that I have collected over the years. I coordinated the inside pages to match so it is easier on my eyes!! I am not as sold on the busy papers, but I will add blocks of solid colors to mat photos. I will also add a little ribbon, but not much else on the blingy side!! 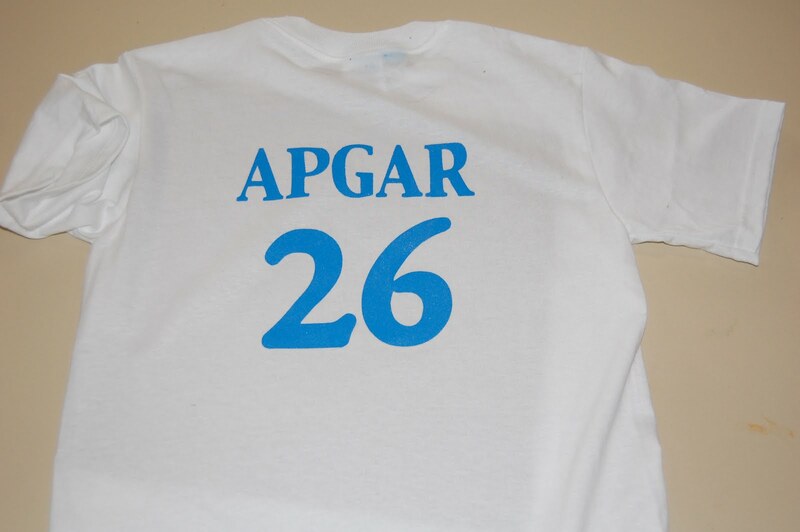 I used George for the rectangles, Baseball Solutions for the players, and Base Camp for the font. I used my Bind-It-All to bind my book. This is Elizabeth (aka MakeupGirl217) and I just outside a LSS in Omaha, NE. I live about 10 minutes south in Papillion and Elizabeth grew up in Bellevue which is just a hop, skip & jump further away than me from this store! She currently lives in Kansas and was vacationing here. We could have talked for hours except our families were waiting for us (mine to go to South Dakota for a baseball tourney and hers to go to a lake to go fishing with friends). I am sooooo glad we hooked up! I was a bit nervous and my friend joked that it was like I was going on a date ~ he he. I have to admit that I was a wee bit intimidated because Elizabeth is soooo talented, but as you can see here she has a great smile and is very bubbly! She is so friendly and offered to help me learn to make videos on my blog!! I had such a good time talking and shopping! I got to meet her family and her boys are sooooo handsome!! Her husband is such a good sport too! It is easy to forget that we are all actual people behind the computer screens!! She's back...but has to go away again!! Before I left town, I got to meet MakeupGirl217 live in person as she was passing through my part of the world (her hometown too). I tell you, she is even more helpful and bubbly in person as she is in the blogging world and on the Cricut MB! We are making plans to hook up in the KC area!! Ok, back to my Gypsy.....well we got home Sunday evening and I cracked the tape open and got my G out. The first thing I noticed is that my Plantin' Schoolbook cart was not returned to me. They needed the cart. in order to get all of my carts that are linked to my broken G so I can re-link them to the new G that has been serialized to match the broken one. Next, I loaned my George to a friend, so I did not want to update my G until I got my George linked. But I did register the G like the PC person told me to do. Well, then I thought I should re-link some of my carts now. So of course I started with the newest ones ~ you know the ones that I got after my G broke and were not linked onto it. Well those linked to the new G just fine. When I went to link my other carts, I got an error message saying this cart is already linked to G #blah blah blah. UGHH!!! I can see the new label on top of the old label (maybe they shipped me the wrong G by accident??) so I know this one was re-serialized, but I still don't have a G I can use!!!! So, I called PC today. PC has been really good to me!! Not only are they going to replace my Plantin' cart, but they are going to get my Gypsy all figured out. I have to mail back my new G, the three new carts that I linked to it (thank goodness the Cricut Lites are not able to link!) and one cart. This time I am sending one that I don't like very much (Teardrop)!! They are not going to make me wait to see if the email comes, they are just sending the fed ex labels ~ that wasted a week last time!! Boy have I learned my lesson ~ no more Gypsy riding in my purse without wearing a quilted coat!!!! I don't care if it is 90 degrees outside ~ no coat, no go!! I am still waiting for my Gypsy to return (maybe today before we leave for baseball....please Mr. Fed Ex man), so I haven't created anything new lately, but I am getting the itch to design again. That being said, I LOVE vinyl! I have put vinyl on so many things. I ordered iron-on vinyl and am just waiting to use it! Here are some of the places I have "vinylized"!! This first project is vinyl on painted canvas. This hangs in my daycare bathroom as a fun reminder! This project is a Family Blessing that my husband's Aunt gave me. It is not clear by just looking what the photo is, so I added some clarification ala vinyl! I put Tanner's name on his bedroom door along with his bat car! My husband put these wonderful slide out trash cans under the counter when we moved in. The only trouble is...no one knew where the trash was. Nothing a little vinyl can't fix!! I got this vase (and another just like it) on clearance after Valentine's Day. My kitchen has red walls and black appliances so this vase (not necessarily the flowers) will be on display year round. Just a bit of black ties it in nicely ~ don't you think? I made these tiles with my daycare kids. They colored on the tiles with permanent markers, then I added a little vinyl. This tile I made for my sister-in-law. I made another one just like it for my other SIL, but with 1998. This was their Mother's Day gift. A few tips about vinyl: I use the settings 3, 3, & 3. Pressure is 3, speed is 3 and blade setting is 3. This gives you a nice kiss cut ~ it only cuts the vinyl not the backing. I like to line everything up on my Gypsy to see what my project will look like. If you have an Expression, use the 12 x 24 mat for wordy sayings ~ this keeps everything lined up and ready to go! Weed away the extra vinyl and roll it up as you go to prevent it from sticking to the rest of your project. Take a dental tool or piercing tool (long sharp metal tool) to pull off all the little pieces. 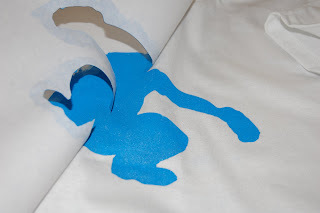 Use clear contact paper or transfer paper to pick up the vinyl ~ this will keep it in place. Then apply to wall, tile, canvas or whatever you want, rub the design and slowly pull the contact paper or transfer paper off. If you use clear contact paper, de-stick it a bit by slapping it on your jeans a couple of times. 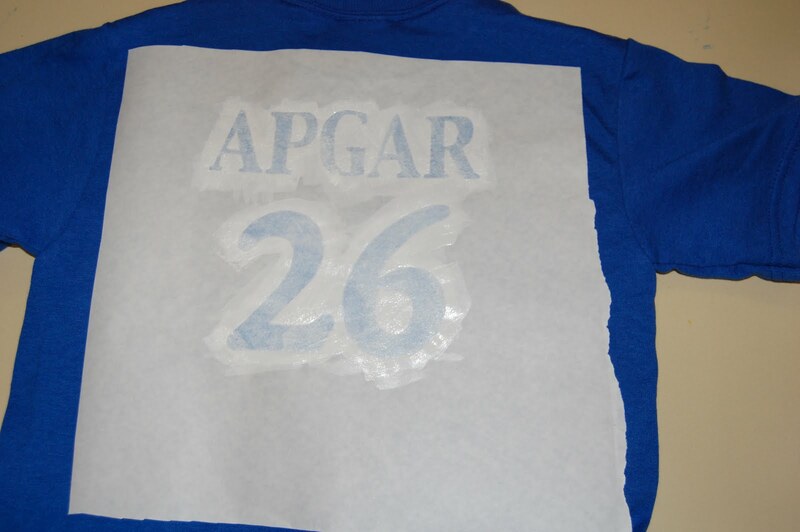 You can also re-use the contact or transfer paper if you are careful!! Have fun ~ vinyl is very forgiving. If a small piece tears, you can cut that piece out again and add it to your design. 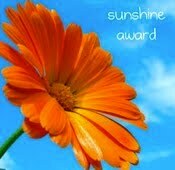 I received this Sunshine Award from Audrey. I am one of her Team Fairies for her weekly Designer Showcase. Check out her BLOG. Every week, several designers enter their projects in the showcase. This is a great opportunity to show off your work in front of a bigger audience. The top 4 projects are awarded a Blog Award, but really everyone is a winner. 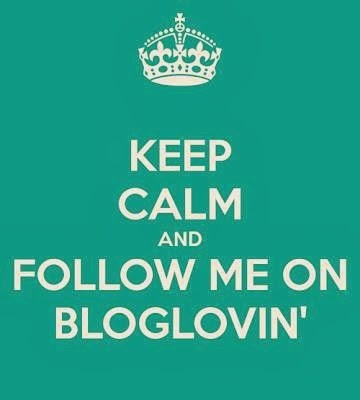 There is plenty of blog love!!! Come and see!! 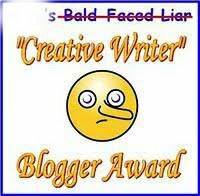 Now, it is time for me to share this blog award with 5 wonderful bloggers. 1. 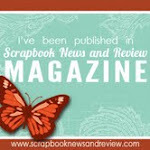 Crazyscrapper who is new to the blogging world, but definately and up and coming blog gal! 2. StampinChelle who is very active on the Gypsy ChitChat forum of the Cricut MB. 3. KrisGris from the Cricut Chat forum ~ I recently found her blog! 4. Gaby whose blog I stumbled on during a blog hop! A new treasure!! 5. CindyLouScrappinWho who makes some amazing projects and has an awesome profile photo!! Reminds me of being on vacation!! I am a SDU Instructor!! I just completed my online training and am now certified to teach Scrapbook Design and You classes (SDU). I will be teaching at Michaels in Omaha where I currently work part time. My first classes begin in July! For more information on Scrapbook Design and You click HERE. My July classes will be Tuesday evenings July 6, 13, 20 & 27 from 6:30-8:30. Michaels is located at 120 & L in Omaha, NE. 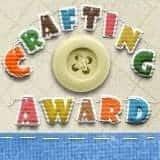 Jean over at Jean's Crafty Corner and Kim from kreations-by-kim gave me this blog award today! I have to be totally honest with you ~ I don't always post these awards. It is not that I am not grateful, just sometimes overbooked with my time...and by the time I have time, well then a week or two has passed and then I feel bad posting. Since it rained out baseball today ~ I ended up with a free day (woo hoo) and I am taking advantage of this award!!! The rule is that now that I have accepted the award I must tell you 6 truths about myself and one lie or vice versa ~ so here goes!! 1. I have three dirty, stinky boys (well four if you include my husband)! 2. I work part-time at Michaels and will soon be the new SDU Instructor. 3. I am waiting for my Gypsy to return from the spa (she is getting a facelift). 4. I run a home daycare. 5. I am the middle child, only girl. 6. I have the patience of a flee ~ this is why I haven't left many comments on the Cricut MB lately! 7. I burn 700 calories per layout. You can guess which one is not exactly true!!! And now comes some more fun. time to pass this award on to 5 more people(who get to send it to 5 more and on and on). I had a hard time deciding who to send this too, because I have so many blogs that I love. Please visit all of my picks and see their great projects. I spend quite a bit of time at the ballfield. My middle son plays high school ball and we have had 10 games from June 1 - 9!! Our season will not slow down until July. 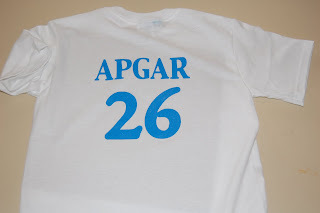 My 4 year old loves to match the team, so every year I make him some shirts. Last year, I used foam stamps and fabric paint. This year I made Freezer Paper shirts and it was so much easier!! I made a couple of shirts BG (Before Gypsy) but it is soooo much easier now with my G!! Unfortunately, I did not take photos of my G screen before I cracked her screen, but I can re-create them on my friend's G. When you make words, you need to type the words backwards and then flip each letter. You will be cutting the freezer paper upside down. This is an easy step to miss ~ and very frustrating too!!! I use Base Camp for the letters and numbers. I don't remember if I used Shadow or not, but on my G screen here I used Shadow. After you type in the name backwards, ungroup the letters and flip each one individually. Then I grabbed a batter from the Baseball Solutions cartridge for the front. I used the shadow image here. 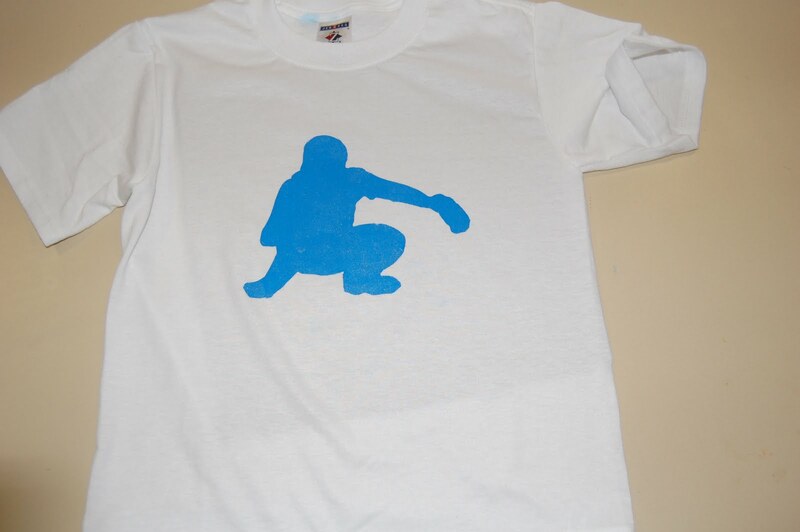 Tyler is a catcher, so I grabbed a catcher image from the same cartridge to use on the second shirt. I flipped the catcher, but left the batter unflipped as I like that image reversed. 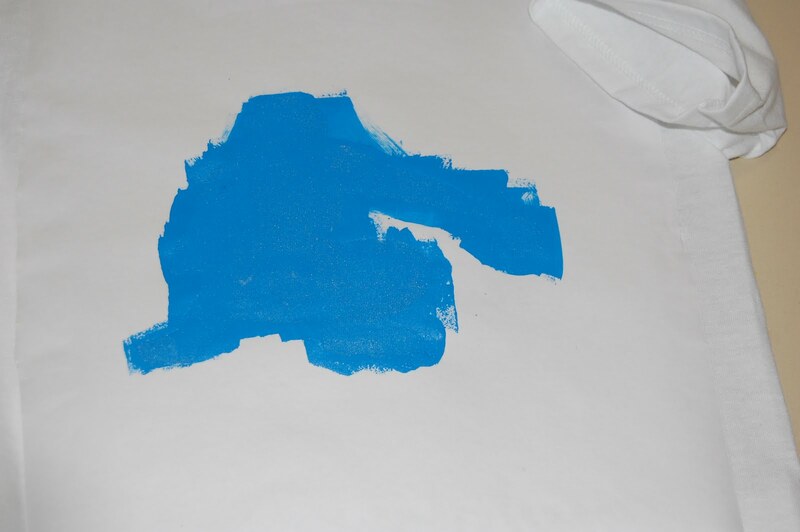 You will cut out the images with Freezer Paper. I found this roll at Wal~Mart. There is a dull side and a shiny side. You want to put the shiny side up on your mat. I do not adjust the pressure or blade depth any different for cutting the freezer paper (not like cutting vinyl). Once you make your cuts, you will iron on the template shiny side down to your t-shirt. I just press down a few seconds (8~10) and then once it cools I try to pull up at the edges. If it comes away, I repeat. Don't forget all of the little insides of the letters!! Once your template is in place, put a piece of cardboard inside the shirt and paint on fabric paint with a foam brush. I painted 2 coats, letting it dry completely in between coats. Once the paint is dry, peel off the template and discard. Repeat with the other side. In years past, I would put the Team Name on the front of the shirt (Dodgers, Mavericks) but our Legion sponsor is Associated Fires and you can imagine the shortened version!! I did not want that on my son's shirt (he he). Well, here you have some custom made T-shirts. Be careful though, you might have the rest of the team wanting some to match!! Guest Designer on TheBugBytes today!